Technologically, there’s no reason to hold any particular fondness for the VHS era. In the age of Blu-Ray (and the quickly approaching epoch of 4K), the image and audio quality of the VHS format are the analog equivalent of the Atari. Films on VHS were either cropped with frequent indifference to proper framing or – still worse – desecrated with pan-and-scan. The portions of the VHS tape viewed most frequently would begin to deteriorate – meaning you were bound to find static all over the exploding head in Scanners or Phoebe Cates’ pool scene in Fast Times at Ridgemont High. A weekend trip to the video store was a rite of passage, a trek that inevitably ended with me in the horror aisle gawking at the tawdry images adorning the box covers for movies I was never going to talk my parents into renting. This list is a tribute to those weekend trips. It was compiled in the most scientific way possible – I tried to remember what box covers enticed me the most when I was 12 years old. 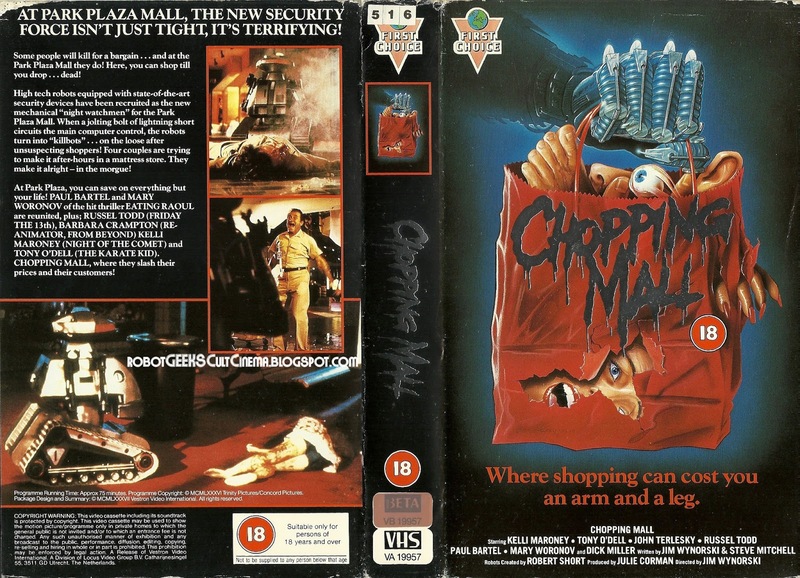 I scoured the internet far and wide to track these covers down, but I wanted to give special thanks to a few sites with particularly awesome libraries of VHS images: VHS Cover Art, Critical Condition (which usefully divides its box art by distribution company), Monster Brains and VHS Wasteland. Clink on any of the box covers for a larger image or to start the slideshow. Check out Part II of the list here. Uhh, where is Black Roses? Halloween Month: VHS Horror Art Tribute! – Welcome to my head!